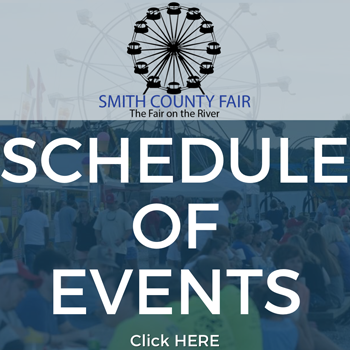 Entries for the Homemade Wine Contest at the 2018 Smith County Fair will be received on Saturday, June 30 from 8:00 a.m. to 10:30 a.m. Premiums for the winners will be paid on Sunday, July 8, 2018, from 1:00 to 3:00 p.m.
1. Contest is open to any resident of Tennessee. 2. Only wine made by amateur winemakers 21 years or older. 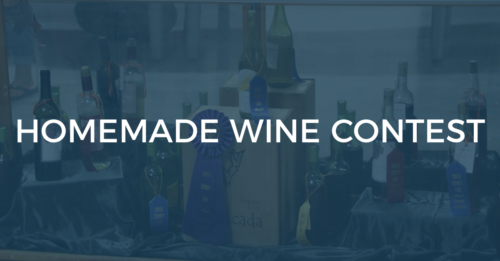 You may not enter if you are a professional winemaker or have applied for State or Federal licensing. 3. Juice, grapes, or concentrate may be obtained from a commercial winery. No use of commercial winery equipment is permitted. 4. Each entry must be submitted as one 750 ml bottles with corks. A specialty dessert wine may be submitted as one 375 ml or 500 ml bottles with corks. Partial bottles will be disqualified. Specially designed carafes, jars, bottles or containers will not be accepted. Your proprietary label is fine, just add your name and phone number to it. 5. Entries will be judged in a blind testing. No recapping – Bottles can be picked up Sunday, July 8 from 1 to 3 pm. Note: Coordinator reserves the right to transfer an entry to the correct class/division. All first place entries from each class will be judged for Best of Show. Note: With three or more entries of the same fruit, judges reserve the right to create a new class. For more information, contact Rebecca Paschal, Superintendent, at (615) 683-8555.